Boplaas is about to blast the humble G&T with the launch of its latest innovation – a gin packed with enough zing to punch a rocket ship to Mars. 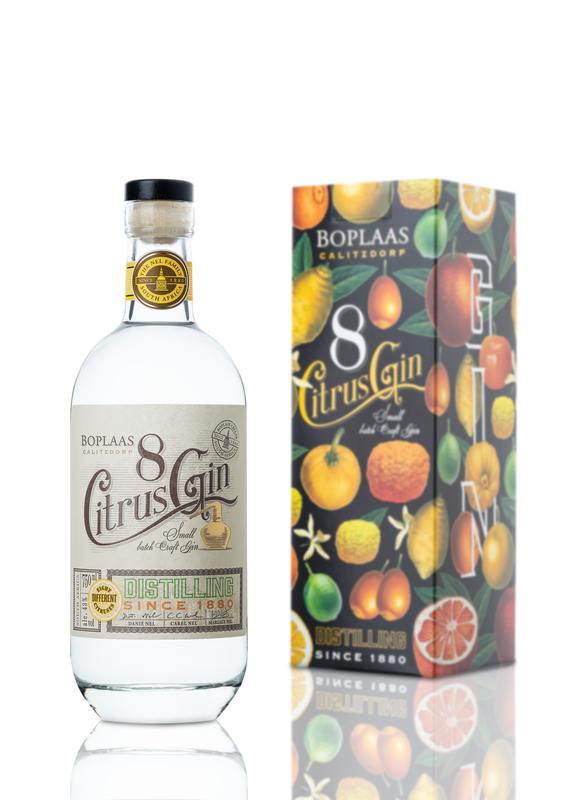 The exciting new Eight Citrus Gin joins a Boplaas portfolio of highly awarded drinks as a bold new expression and unique addition to the world of gin. The small batch hand-crafted gin combines juniper and a trio of classical gin botanicals with the very best South African citrus fruits – orange, lemon, tangerine (naartjie), grapefruit, blood orange, lime, bitter orange and cumquat. The result is an unsurpassed burst of freshness and lashings of flavour. The gin is made on the Boplaas farm in Calitzdorp with the use of a gleaming multi-column still dubbed The Falcon. The same still is used for the crafting of Boplaas’s other acclaimed drinks, including an award-winning whisky. Daniel joined the family business in 2017 to spearhead Boplaas’s spirits range and breathe new life into the tradition of distilling craft spirits in Calitzdorp. He became the 6thgeneration distiller at the farm and now extends a distilling tradition that started in 1880, when his great-great grandfather exported the first batch of potstill brandy to London. 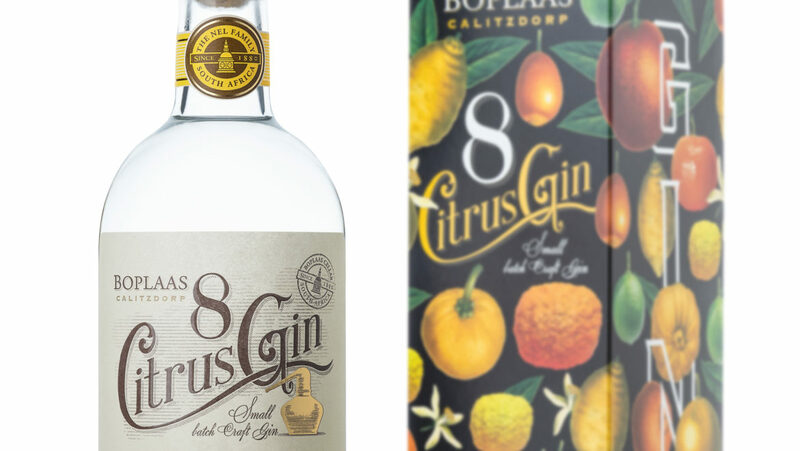 New techniques coupled with traditional methods and experience has guaranteed Eight Citrus Gin pride of place in the well-regarded line up of Boplaas craft spirits. Boplaas drinks – including wines and champion Cape Ports – are available from the Boplaas cellar door in Calitzdorp and at the Boplaas tasting room in Klipheuwel in Klein Brak along the Garden Route. They are also available from discerning fine drinks retailers nationally.